Let Me Bleed! | Nicole, Deipnosophist. 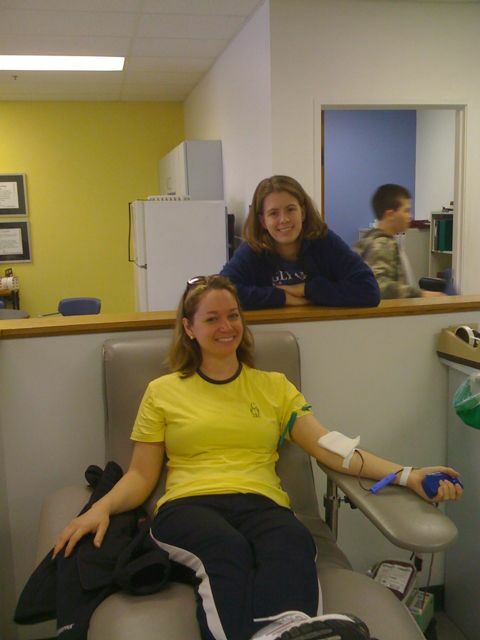 Amy and I have been blood sisters for several years now, encouraging each other to donate blood when we can. I have been out of the habit due to first my pregnancy, then nursing a baby. 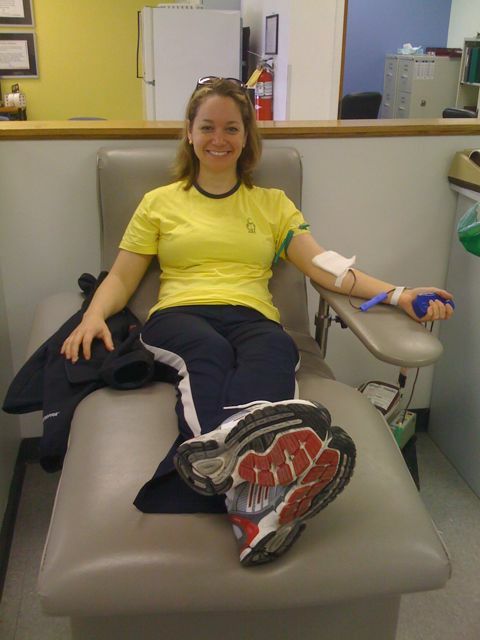 I am not sure if nursing precludes donation, but I had enough going on! Anyway it’s my job to drag her to the gym, and her job to drag me to be poked by needles. We went after the gym today and poor Amy failed the iron test. But I bled just fine. I really detest the needle stick, but it’s worth it to save lives. Thanks for the motivation, Amy! Do you donate? If not, give it a shot. It’s easy and the cookies afterward are tasty. This entry was posted in Charity of the Month, Life in General, Recipe Reviews by knharter. Bookmark the permalink.